I love drawing relatively simple portraits of cats. 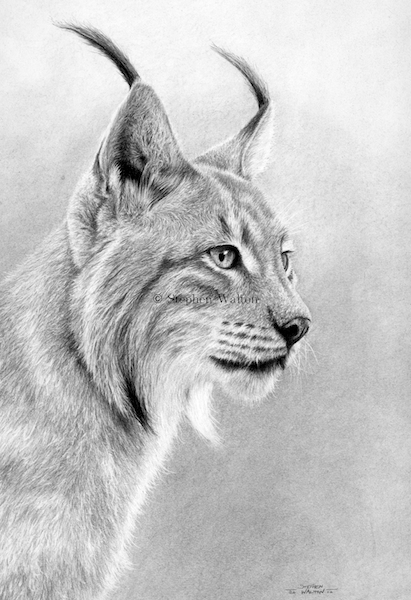 I was drawn to this Lynx because of the symmetry between the ear tufts and fur ruffs on its neck. I now have a rapidly growing collection of cat drawings and I cannot see me stopping drawing them - they are simply wonderful to draw.